It comes as no surprise to most that CBD, the non-psychoactive component found in cannabis and hemp, has a number of therapeutic benefits for those with difficult-to-treat medical conditions. 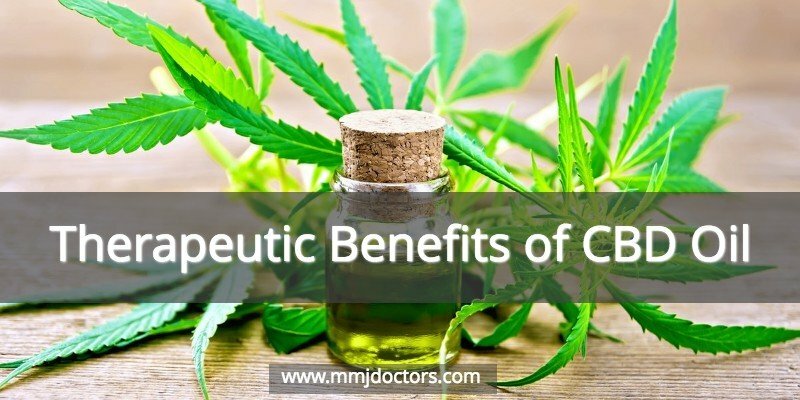 As more and more studies are performed on this compound, it’s becoming quite obvious that CBD can be an effective alternative to opioids as well as other prescription and over-the-counter medications. CBD can be derived from the hemp or cannabis plant and can have anywhere from no THC to 20% THC. THC is the psychoactive component of marijuana that produces the ‘high’ effect. THC is only legal in states where medical and/or recreational marijuana is legal. For those who live in states where marijuana is still illegal, hemp-derived CBD with less than 0.3% THC is the only type they can buy. 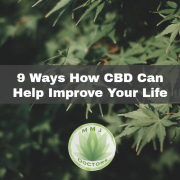 Some conditions can be treated better with CBD that contains higher levels of THC, but CBD with very little or no THC can still be very therapeutic. Depending on the amount of THC and the extraction method of the product used, CBD can treat anything from mild symptoms to degenerative, chronic diseases. Here are just a few of the conditions that CBD has proven effective in treating. Multiple sclerosis is a neurodegenerative autoimmune disorder that attacks a person’s spinal cord, optic nerve, and brain. As the body attacks its own healthy cells, scar tissue emerges and causes even more problems. CBD can treat nearly every symptom involved in this disease and can help protect the brain from the harmful effects. As an anti-inflammatory, CBD counters the effects of the inflammatory proteins that are released in a patient’s brains during an attack. CBD can also ease the pain that comes along with the creation of scar tissue and can also calm the spasticity that can affect up to 20% of those with MS. In addition to all this, CBD can help with sleep, digestion, depression, and inflammation of the optic nerve, all symptoms that those with MS frequently suffer from. The effects of cancer ravage millions each year. CBD can help treat cancer in a number of different ways. First, it can help prevent the spread of tumors and slow down the disease’s progress. Second, it can help treat the side effects of chemotherapy drugs that can include nausea, vomiting, and lack of appetite. Finally, it can provide an overall pain-relieving quality that helps cancer patients sleep and maintain a better quality of life as they fight the disease. The effects of CBD on epilepsy have long been studied. CBD has been shown to lessen the number of seizures those with epilepsy suffer from as well as their intensity. CBD can also help patients ease off other prescription medications for their condition. This lessens the side effects of those prescriptions that can include low platelet levels, anemia, liver failure, thoughts of suicide, and allergic reactions. More than 40 million people in the United States suffer from some form of anxiety. CBD has proven effective in treating anxiety that results from post-traumatic stress disorder, obsessive-compulsive disorder, generalized anxiety disorder, and social anxiety disorder. By stimulating serotonin receptors in the brain, the frequency of serotonin signals are boosted and mood is lifted while anxiety is eased. CBD has also been proven to help regenerate neurons that are lacking in those who have some types of anxiety disorders. In addition, CBD can also help treat secondary symptoms of anxiety that can include reduced appetite and insomnia. When taken as a precautionary method, CBD can reduce the chances of high-risk patients having a heart attack. It does this by reducing the number of cell deaths, inhibiting oxidative stress, and reducing fibrosis and inflammation. CBD can also help preserve the left ventricle of the heart. CBD can also be used as a treatment after a stroke or heart attack to treat brain damage caused by oxidative stress and excitotoxicity. CBD works by binding to CB1 receptors in the brain. The area of the brain that is affected in Parkinson’s sufferers, the basal ganglia, has a high density of CB1 receptors. That means that CBD can have a number of positive effects on symptoms that emerge from this degenerative disease. CBD also has a neuroprotective, antioxidant, and anti-inflammatory effect that can actually help treat Parkinson`s disease and slow its progression. Obsessive-Compulsive Disorder, or OCD, is characterized by repeated, unwanted actions or thoughts and it can get worse throughout a person’s lifetime and prevent them from leading a full and active life. Though there is no cure for OCD, it has been found that CBD can have a positive effect on the receptors that stimulate serotonin, leading to a boost in well-being and a reduction in the obsessive thoughts or behaviors exhibited by the sufferer. Cannabinoid receptors play a big part in digestion as they are distributed throughout the digestive tract and in the portions of the brain that regulate the gut-brain axis. 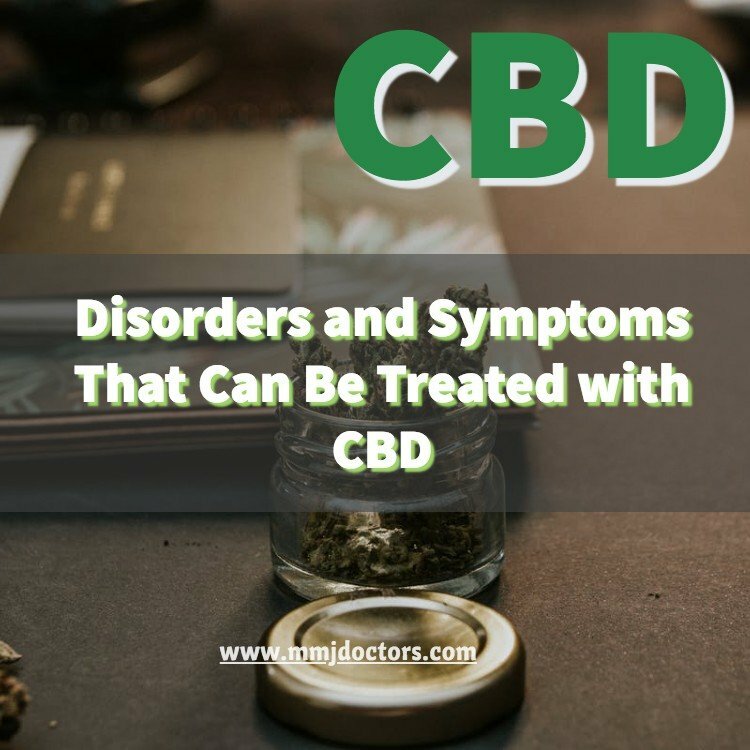 When CBD is taken by a person suffering from a digestive disorder, the receptors are activated and symptoms such as cramping, diarrhea, constipation, bloating, and appetite loss are reduced. CBD can help those with low-level, occasional digestive upsets as well as treat more serious conditions such as irritable bowel syndrome and Crohn’s disease by reducing inflammation throughout the digestive tract and slowing the overall speed at which food travels throughout the digestive system. CBD continues to be a highly studied substance by the scientific and medical community. More of its therapeutic benefits are likely to come to light as legal restrictions ease and more professionals recommend its use. 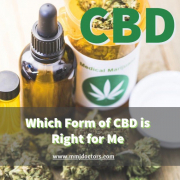 You can always speak to a medical marijuana doctor to see if CBD is right for you. California Medical Marijuana Card – click here.